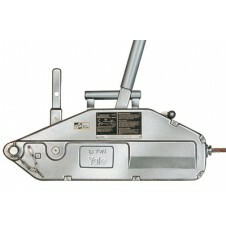 At Hoist and Winch Limited, we have a selection of Yale cable pullers, ideal for a range of applications. The Yaletrac cable puller is light-weight and compact, and it boasts a large flat bottom surface for increased stability in both horizontal and vertical working positions. Yale’s light-weight cable puller LP model is a handy compact tool, ideal for service, assembly, workshops and recreation. 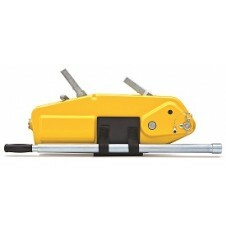 The Yale cable puller LM model is a light-weight, corrosion resistant pulling and tensioning unit. 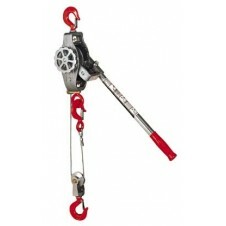 It is suitable for universal use, with single or double fall configuration. Our Yaletrac-ST steel cable puller features a housing of dimensionally stable deep-drawn steel plates ensuring a compact, robust design in combination with optimized weight. It maintains the benefits of the previous Yaletrac range and boasts optimised features.